This report is targeted at risk practitioners, boards and regulators. 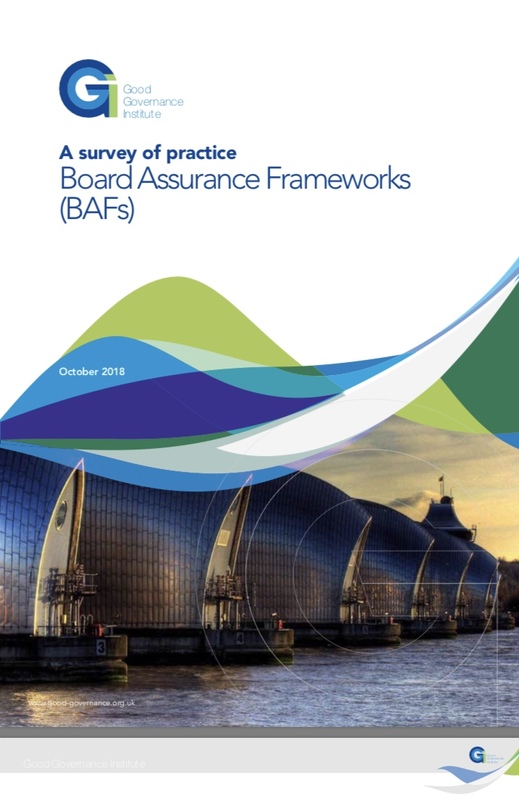 It draws on the expertise of governance professionals in the NHS and is intended to provide guidance to the reader of what constitutes a good Board Assurance Framework (BAF) today. The report is produced using input from the GARNet group which is comprised of governance, risk and assurance professionals who have formed a community of practise to work collaboratively and develop a standardised approach to risk, assurance and Board Assurance Frameworks. ‘The BAF is broken. It is no longer fit for purpose yet is a formal requirement of good board practice and subject to external review’ (John Bullivant, the New Assurance GGI, 2018). This paper considers examples of current practice and concludes that there is wide variation in application, definitions and understanding by users, although the general content still largely reflects the original 2003 guidance, Building the Assurance Framework: A Practical Guide for NHS Boards (Department of Health, March 2003). In particular the BAFs suffer from the absence of clear measurable time limited strategic objectives and forward trajectories of performance against which risk can be identified and mitigated. The situation can be improved and the paper concludes with recommendations for practitioners, Boards and regulators. The publication of guidance “Assurance: The Board Agenda” which was issued in July 2001 set out the principles of a good BAF. The guidance highlighted the requirements for all NHS Chief Executive Officers to sign an Annual Governance Statement, as part of the statutory accounts and annual report. This reinforces the need for Boards to be able to demonstrate that they have been properly informed about the organisational risk profile. In order to be confident that the systems of internal control are robust Boards need to be able to provide evidence that they have systematically identified their objectives and managed the principal risks to achieving them. A good BAF helps boards to undertake this duty.